Order the all new iPhone 5 today. 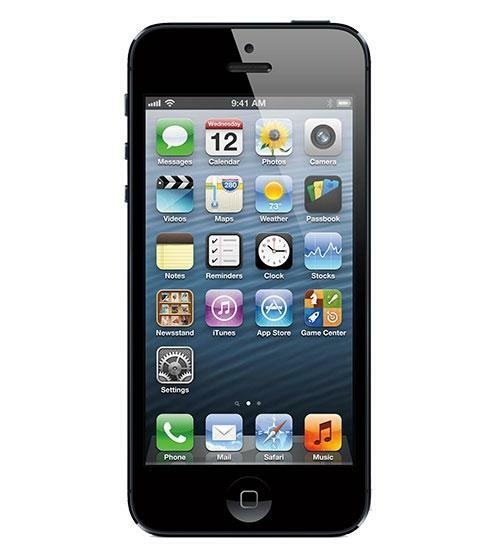 The Apple iPhone 5 is the thinnest, lightest, fastest iPhone ever, and features a 4-inch retina display, comes pre-loaded with iOS 6, and supports 4G LTE connectivity. The Samsung Galaxy S 4 is the newest Android Smartphone to take on Apple's iPhone 5 in the Wirefly Schmackdown arena. Two phones enter but only one is crowned the Schmackdown Winner. In Round 1, Wirefly's Scott Lewis will take you through all of the important design aspects of the Galaxy S 4 and the iPhone 5. While they are physically similar in some ways, they are completely different in others. Will the larger 5 inch screen on the GS4 give it an advantage or will the slimmer profile of the iPhone 5 give it the edge in the design round? These two phones could not be more different when it comes to software. In Round 2, Scott will breakdown the good and the bad of each operating system. The software battle has been going on since Android smartphones first challenged Apple's golden goose. Find out which OS is best for the way you use your smartphone. Round 3 will wrap up the Schmackdown by giving you a look at some sample photos taken with both the GS4 and the iPhone 5. Apple's iPhone 5 and the DROID DNA by HTC are both 4G LTE smartphones that are available for Verizon Wireless. See which of these very popular smartphones is better then the other. In Round 1, Wirefly's Scott Lewis compares multiple design aspects of both phones. He will show you why you might want the DROID DNA and some reasons you might want the iPhone 5. With the ability to share pictures directly from your phone on social media, the camera has become something that separates one phone from another. You will get to see sample pictures side by side from the DNA and the iPhone 5. Find out which camera is better. In Round 3, Scott will run through all of the important specs of the DNA and the iPhone 5. Find out which one is better on paper and which one is really better for everyday use. The HTC One is the newest Android Smartphone to take on Apple's iPhone 5 in the Wirefly Schmackdown arena. Two phones enter but only one is crowned the Schmackdown Winner. In Round 1, Wirefly's Scott Lewis will take you through all of the important design aspects of the HTC One and the iPhone 5. While they are physically similar in some ways, they are completely different in others. Will the larger 4.7 inch screen on the HTC One give it an advantage or will the slimmer profile of the iPhone 5 give it the edge in the design round? Round 3 will wrap up the Schmackdown by giving you a look at some sample photos taken with both the HTC One and the iPhone 5. See what happens when Wirefly's Scott Lewis put the Google Nexus 4 in the Smartphone Schmackdown Area against the very popular Apple's iPhone 5. In Round 1, Wirefly's Scott Lewis will go over all of the design aspects and differences between these two cutting-edge Smartphones. Round 2 will compare the Processor, RAM, and onboard storage specs of the Nexus 4 and iPhone 5. Round 3 compares the 8MP rear cameras in the Nexus 4 and the iPhone 5. Check out the sample pictures and compare the cameras for yourself. You will even get to see a sample from the new Photo Sphere feature of the Google Nexus 4. Apple's iPhone 5 has sold millions of phones in a few weeks. See if Sprint's Android-powered HTC EVO 4G LTE is better than the iPhone 5 in this comparison review video. In Round 1 you will get to see the differences between the design of the EVO 4G LTE and the iPhone 5. Wirefly's Scott Lewis will show you the physical differences and the little design details that make both of these phones special. With many people using their smartphone as a replacement for a point-and-shoot camera the quality of photos that your smartphone takes has become more important. In Round 2 you will get to compare sample photos from the 8 megapixel, rear-facing camera on the EVO 4G LTE and the iPhone 5. In Round 3 you will get a walk-through of the specs for the EVO 4G LTE and the iPhone 5. You will hear about the different storage options that are available for each phone. The DROID RAZR M by Motorola is the closest Verizon Wireless Android Smartphone in size and features to Apple's newest iPhone 5. In this Schmackdown review video, Wirefly's Scott Lewis will give you an in-depth breakdown of how the RAZR M measures up to the iPhone 5. In Round 1 you will get a review of the design aspects that are important of both the RAZR M and the iPhone. Scott will tell you about everything from the displays to the outside cases for these very well designed smartphones. Cameras on smartphones have taken over for point and shoot cameras, and you will get to see for yourself which camera is better in Round 2. You will get to see a still image from the 8MP camera from both the RAZR M and the iPhone 5 so you can judge which one takes the better picture. The final round, Round 3, covers all of the important specs that you should be interested in when trying to compare the phones. You will also here about the difference between call quality of the RAZR M and the iPhone 5. 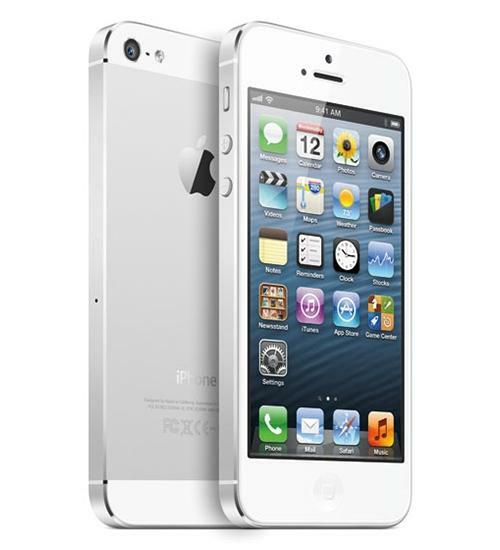 Apple's iPhone 5 and the Samsung Galaxy S III are both 4G LTE smartphones that are available for Verizon Wireless and Sprint. See which of these very popular smartphones is better than the other. Apple and Samsung have both released a very popular smartphone recently and Wirefly decided to compare them and see which one is better. In this Schmackdown comparison review you will get to see the differences between the Android powered Samsung Galaxy S III and Apple's iOS powered iPhone 5.